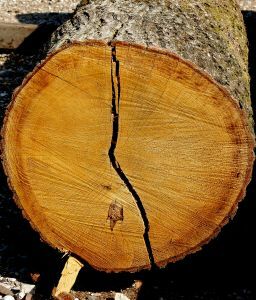 According to a recent article from Cape Cod Online, an employee of a tree company suffered a serious on-the-job injury. He was working on or around a wood chipper. After tree company workers remove dead limbs from trees, they will typically use a large wood chipper to shred the wood for easy removal from the job site. Witnesses report that a large piece of wood was kicked out of the chipper and hit the worker in the back. The piece of wood was reported to approximately two feet long and a foot wide. Due to the seriousness of the injury, the worker was flown by medevac helicopter to a trauma center in Boston. There have been no reports as of yet about the injured worker’s condition from the hospital, but it is likely life-threatening, based on the need to have him airlifted to Boston. Medevac helicopters are normally only used in cases of severe injury. Our workplace accident lawyers know that some jobs are inherently more dangerous than others. The Occupational Safety and Health Administration (OSHA) considers tree trimming one of the more dangerous jobs and states that workers face injury from obvious sources, like falls, but also from hazardous electrical lines, heavy equipment, noise, chainsaws, ladders, and many other dangers. OSHA specifically lists wood chippers as a common hazard to tree trimmers. It should be noted that, unlike in a civil action (lawsuit) filed under a negligence theory, in a workers’ compensation case, the worker must only establish that he was injured while on the job. In a civil action, the worker must establish that the employer acted negligently. This would mean that they employer acted in such a way that they failed to protect foreseeable persons from foreseeable injuries. On the one hand, it is foreseeable that a tree trimmer using a wood chipper could be injured. On the other hand, the worker knew this and has assumed the risk of this type of injury. If the employer did everything properly to safeguard the worker using a wood chipper, and he was still injured during normal operation, it would be very difficult to prove that the employer was negligent. However, in a workers’ compensation action, since it is not required that the worker prove any negligence on behalf of his employer, he would still be able recover for his losses. In a situation like the one discussed in this article, the worker would have significant medical bills and lost wages while he is recovering. It is also possible that he will not be able to return to work after his accident and may be able to claim a permanent disability. Boston Workplaces Need a Rescue Plan For Fall Injuries, July 10, 2014.